Developed and tested on game version 1.67. The mesh has 2 geostates: default and tucked. Vertices: 568. Polygons: 892. A napping mat with an interaction for toddlers: sleep. Sleepy toddlers will use it autonomously. didn't use a good default value for the threshold). the normal ones if you don't like them. 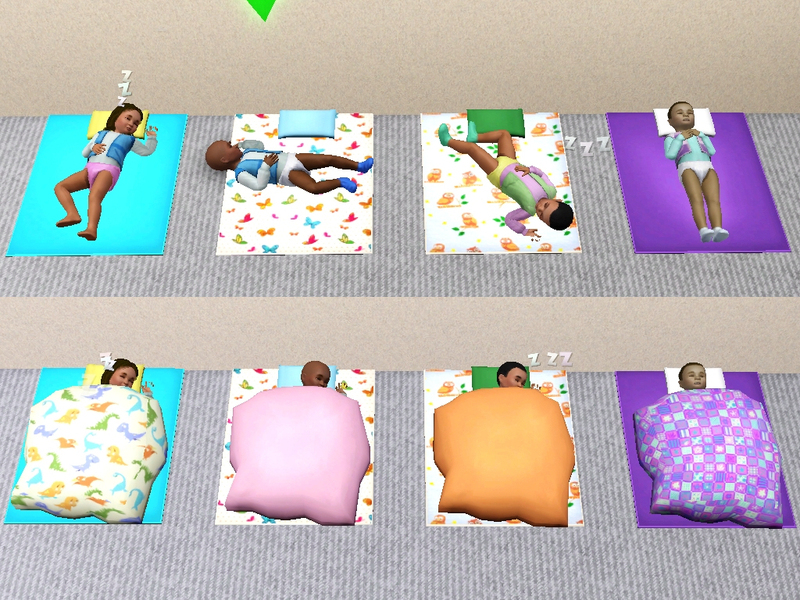 X sim-minutes), like when they sleep in the crib or on the floor. The mod is pretty flexible, see the CONFIGURATION xml, there are quite a few options. Uhm... I feel like there's something important to say here, but I really don't remember. Is it better to use both the mat and the crib or just one of the two? You tell me. phases of testing, which are a complete blur now, not sure if it still happens). Insane, Clumsy and Absent Minded Sims can sleep in the mat ignoring the "right" orientation. Using Dashboard, you'll notice a conflict with my other mod: Child2Toddler2Baby. It's ok, the two mods have a CLIP resource in common. wake up ("stand"), only the custom ones. So the new animations won't work when sleeping in the crib or on the floor. 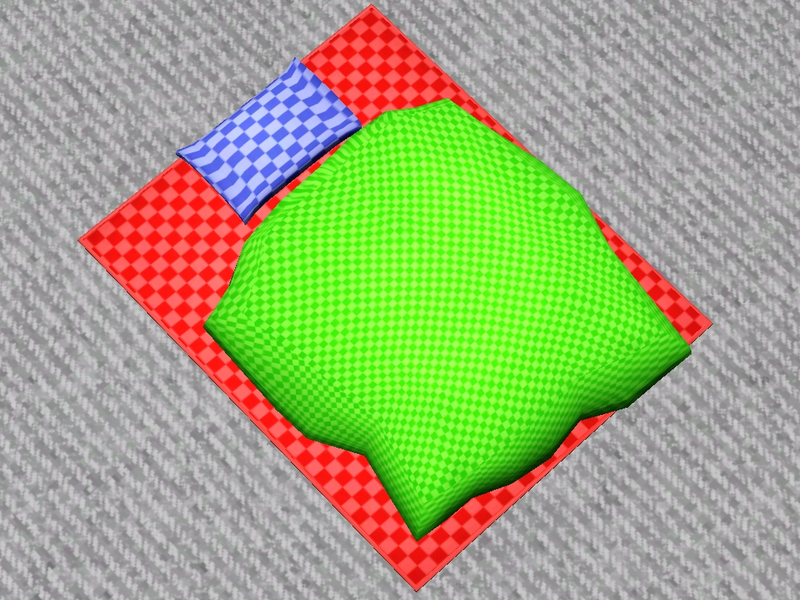 sleep using a non-standard orientation (tuck-in will re-orient them to avoid clipping with the blanket). New interaction, tuck in, that child+ can perform on the mat when there's a toddler sleeping. I wasn't able to reproduce the steps that lead to the glitch (never saw the glitch again at all), so it's probably still there. Try removing the _Animations.package file and disabling vampire animations from the xml to see if that helps.